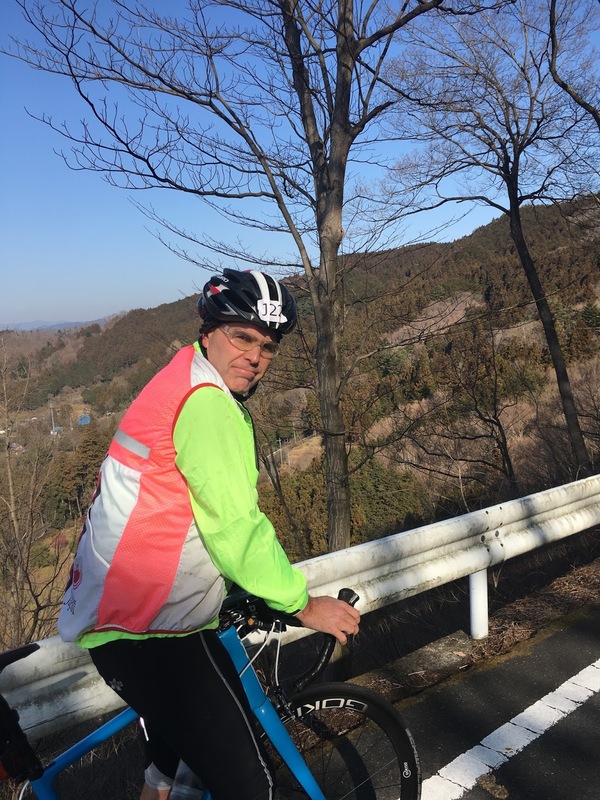 Even though I rode a 200km brevet at the beginning of January, I traveled without bike to visit my parents in February, and did not ride much. So by end of February I felt as if I was not in the same shape as past years, especially 2015 when I trained hard for the SR600, Dolomites and PBP. And I have gained weight over the winter. Maybe I am just getting older? 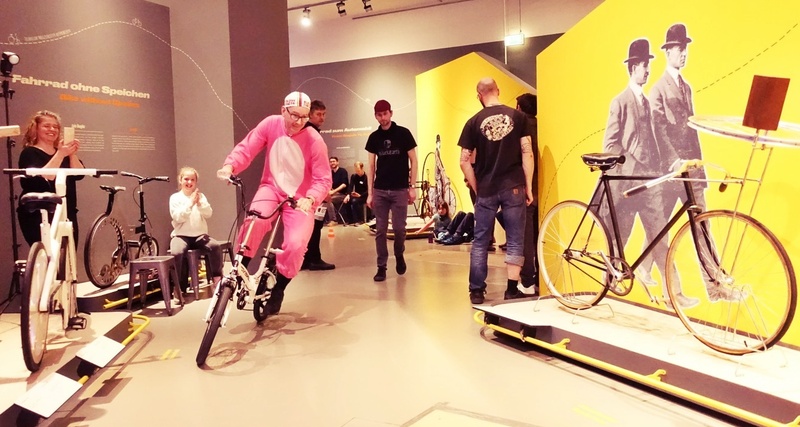 Anyway, with the return of more cycling-friendly weather, I felt I really needed to get out more, enjoy riding, and to put in some work. 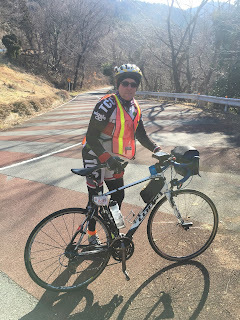 So at the last minute, Jerome and I secured entry into a 200km Saitama Audax brevet on March 5. 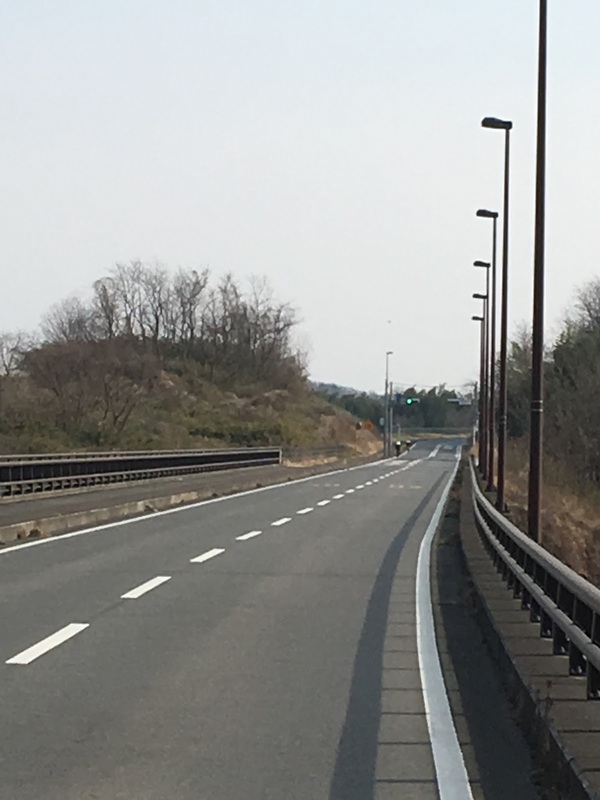 The route went from a start near Ogose, over Sadamine Pass, then out via Nagatoro to Fujioka and eventually west to Annaka, with a turn-around point just before the climb to Karuizawa. 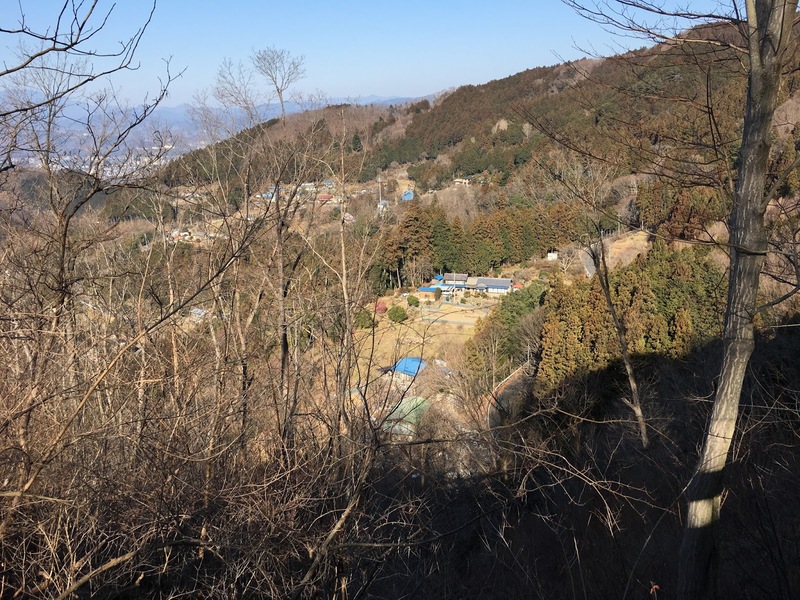 Going back the route skipped Sadamine and instead did a few much smaller climbs. 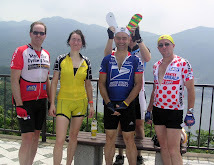 According to Strava we climbed 2900 meters on the day --in truth probably less, but it was by no means a flat course. Mostly familiar routes, except for the portion between the Start/Goal and Nagatoro. According to Strava around 2900 meters elevation gain. The weather was not bad, a bit colder than anticipated at the start but we warmed up on the climb and completed before the cold of night. On the other hand, the sun was weak, behind thin clouds and haze. And it was fur-tree pollen and dust-from-Asia and field ploughing season also -- my teeth always feel covered in grime and my nose clogged after a ride this time of year. So somehow not the most welcoming of environments. On the return leg, in Gunma. In this photo it looks flat. It was not. Mt. Asama blows off steam. 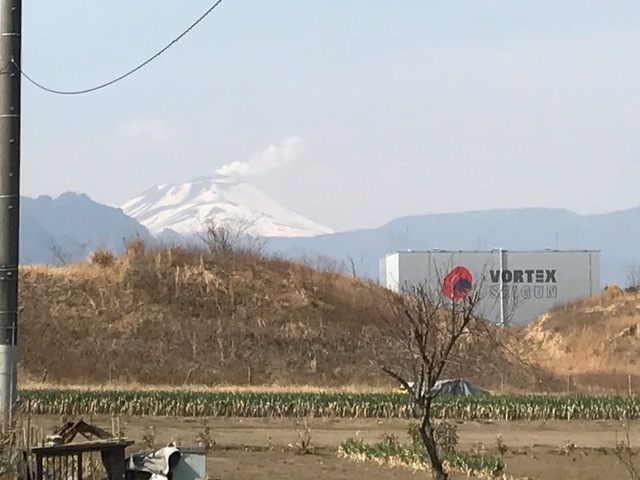 Seen from Gunma. 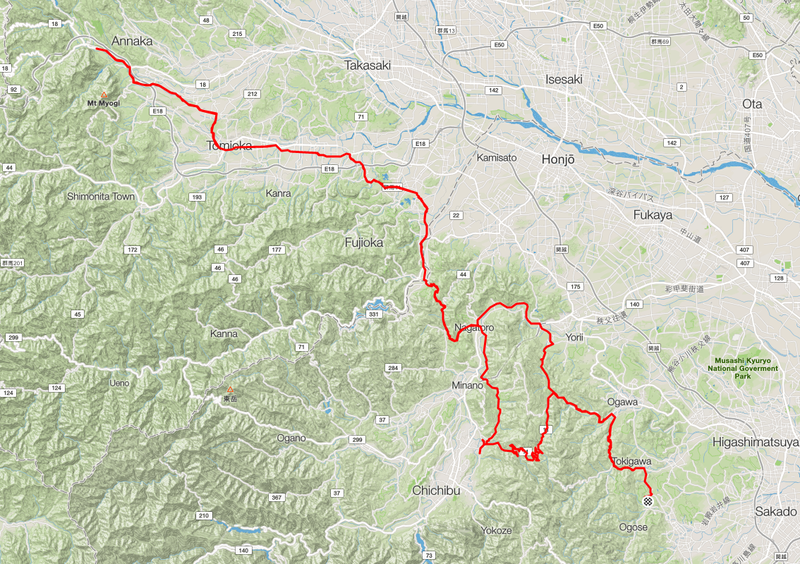 With this, my weekend in Yakushima and week in Mallorca, and a series of decent training rides in April, I can hope to be ready for the Isabella Byrd 1500km "heaven week" series over Golden Week.